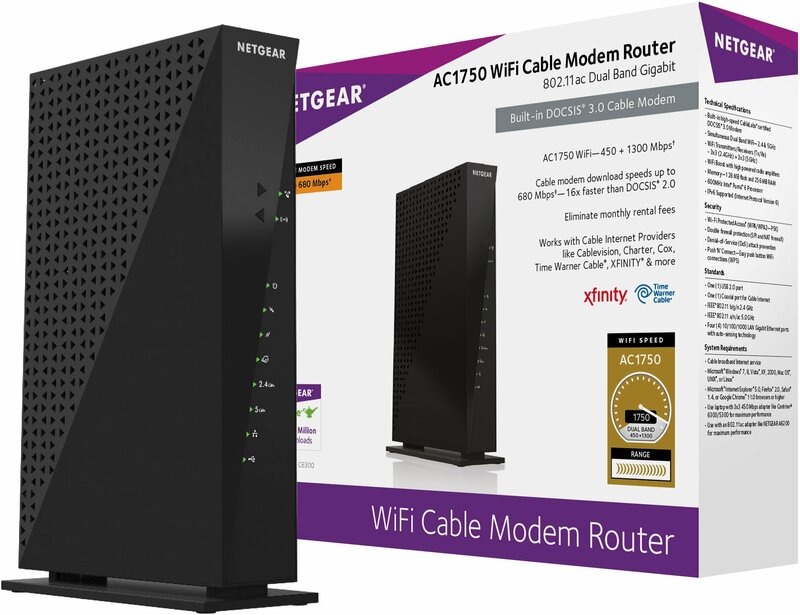 Home › Netgear Ac1750 (16X4) Wi-Fi Cable Modem Router (C6300) Docsis 3.0 Certified F..
Netgear Ac1750 (16X4) Wi-Fi Cable Modem Router (C6300) Docsis 3.0 Certified F.. Size: AC1750 Wifi - 680 Mbps (16x4) | Style: Cable Modem Router The NETGEAR AC1750 Wi-Fi DOCSIS 3.0 Cable Modem Router provides the fastestcable speed available with an AC1750 Wi-Fi router and integrated DOCSIS 3.0cable modem, with up to 680 Mbps. Cable Labs certified to work with all majorcable Internet providers such as Cablevision, Cox, Time Warner Cable, XFINITYand more.